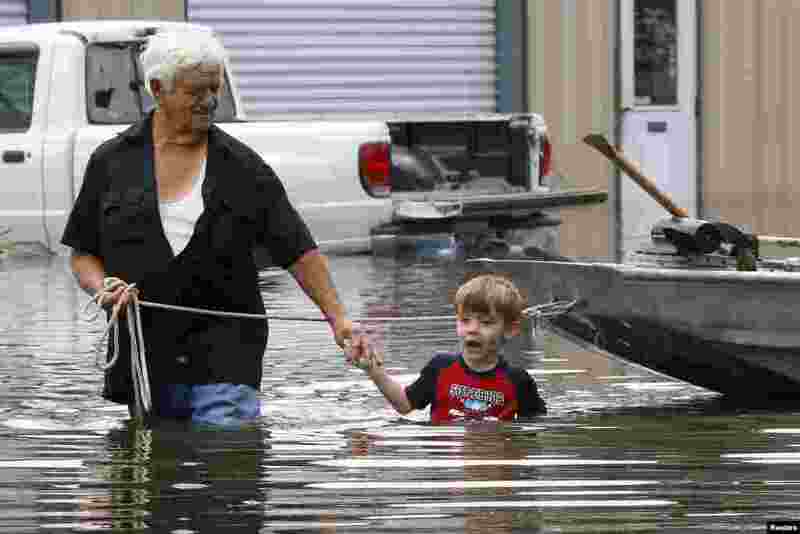 1 Richard Rossi and his 4 year old great grandson Justice wade through water in search of higher ground after their home took in water in St. Amant, Louisiana. 2 United States' Simone Biles performs on the floor during the artistic gymnastics women's apparatus final at the 2016 Summer Olympics in Rio de Janeiro, Brazil. 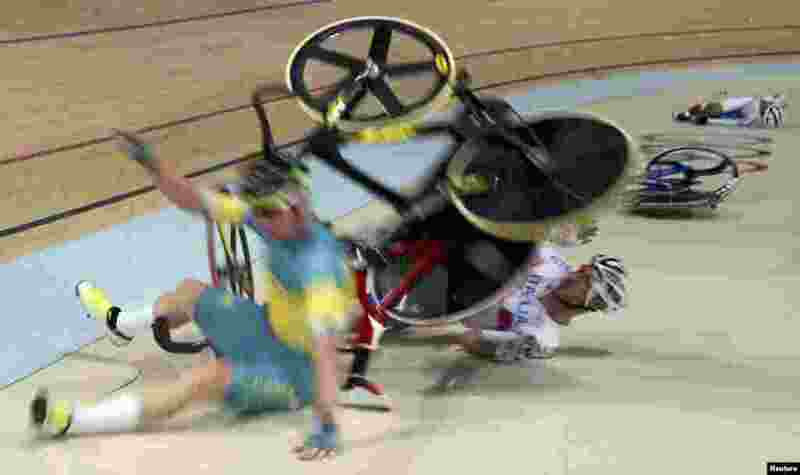 3 Glenn O'Shea (AUS) of Australia, Elia Viviani (ITA) of Italy and Park Sang-hoon (KOR) of South Korea crash during a cycling event at the Summer Olympics in Rio de Janeiro, Brazil. 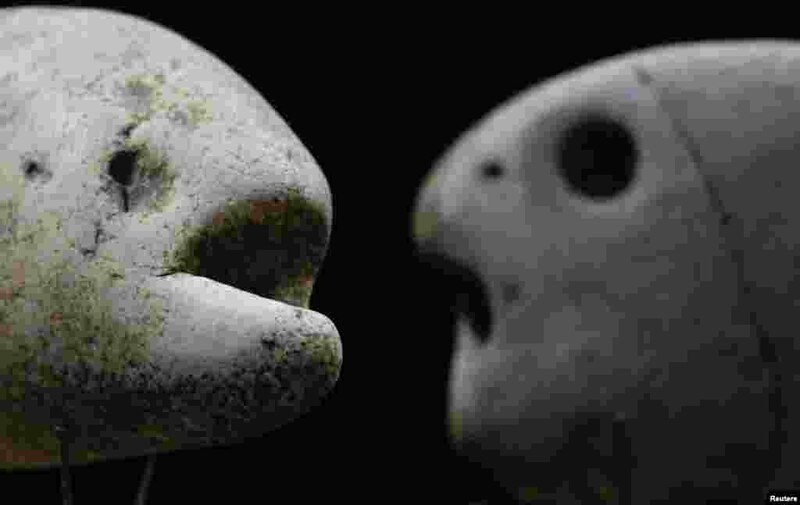 4 Stones collected and categorized by shape (fish) are seen at the home workshop of Luigi Lineri in Zevio, near Verona, Italy.